The Brain Balance Achievement Center of Brain Balance of Encino is dedicated to helping children struggling with learning, behavioral, or social interactions reach their goals both inside and outside of the classroom. The first step of your child’s journey with Brain Balance is taking their personalized assessment. 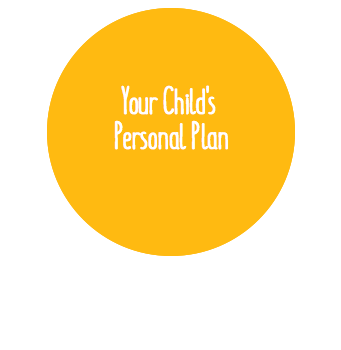 This assessment helps us to identify each child’s unique challenges and develop a personalized plan that will help the child overcome those struggles.Your child’s in-center sessions are individualized based on his or her assessment results. These sessions will activate the weaker areas of your child’s brain in order to increase function. Our integrated, whole-child approach combines in-center sessions, activities, and nutrition in order to achieve the best results for your child. Included in each child’s customized program regimen are academic activities, sensory motor training, home exercises, and a healthy eating plan. Dyslexia is a learning disorder that causes children to have difficulty reading and is often identified once a child reaches kindergarten. Dyslexia can show itself in different ways and can involve a number of reading challenges. Children with dyslexia may have difficulty recognizing letters, learning letter sounds, and identifying rhyming words. Early signs of dyslexia in children can include poor fine motor skills, trouble learning the alphabet, numbers, days of the week, and learning to talk later than most children. The Brain Balance Achievement Center of Brain Balance of Encino has developed a dyslexia program that can help improve a child’s processing and learning ability, leading to a more successful academic and personal life. Although dyslexia is a lifelong learning disability, the right approach to dyslexia can help to improve reading, spelling, and writing skills. Your child’s personalized plan through The Brain Balance Program is focused on helping your child overcome their academic challenges. Most of our dyslexia plans include up to 3 weekly in-center visit as well as activities and exercises to practice while at home. These activities give you the opportunity to spend one-on-one time with your child and help to support the in-center sessions. Want to know how our dyslexia approach has helped other kids overcome their academic, social, or behavioral challenges? Read stories from parents whose children have graduated from The Brain Balance Program, and learn how The Brain Balance Program was the answer they were looking for. Brain Balance Achievement Center of Brain Balance of Encino has a plan for children with dyslexia. If your child is struggling with recognizing letters, learning sounds, and/or identifying rhyming words, we can help. Call (800) 877-5500 to learn more about how Brain Balance can help children with dyslexia and sign up online today!